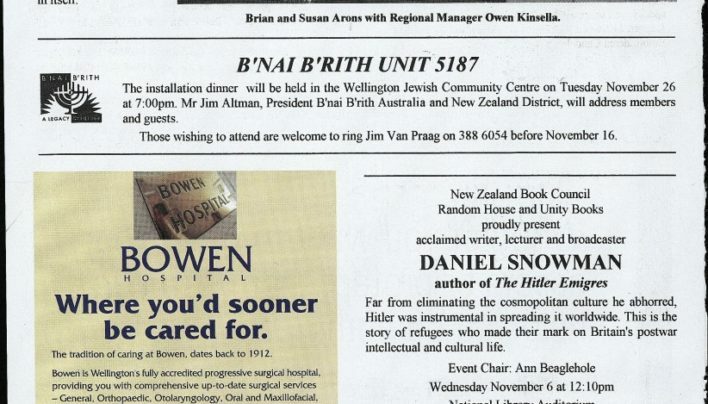 An advertisement for an event featuring Daniel Snowman, author of The Hitler Emigres (Random House). 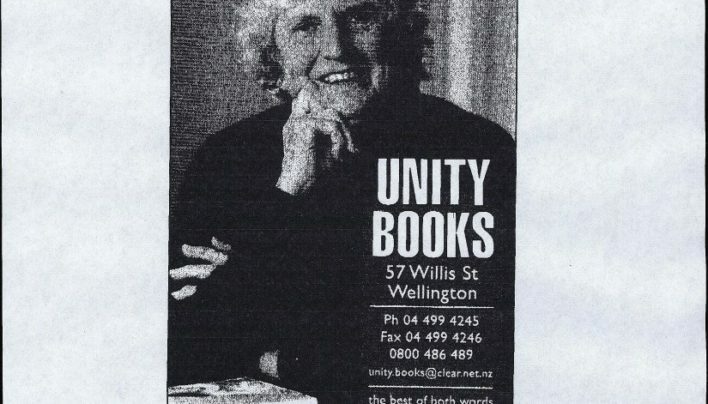 This advertisement-in-progress for Sport magazine features author Barbara Anderson. 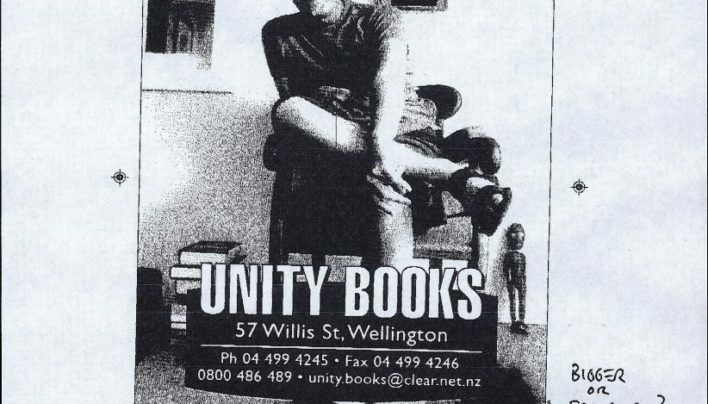 An advertisement-in-progress for Landfall magazine, featuring Peter Wells. 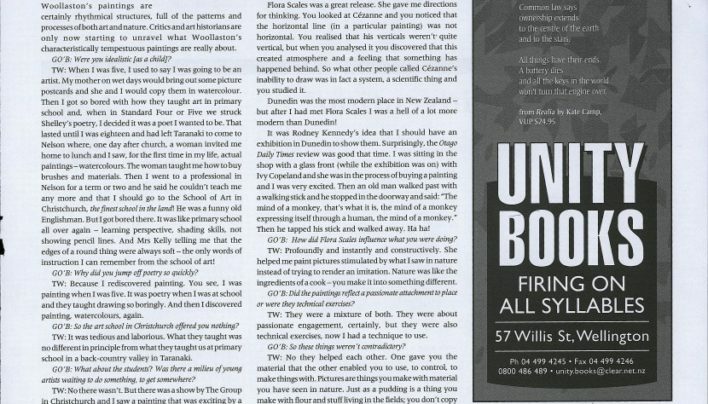 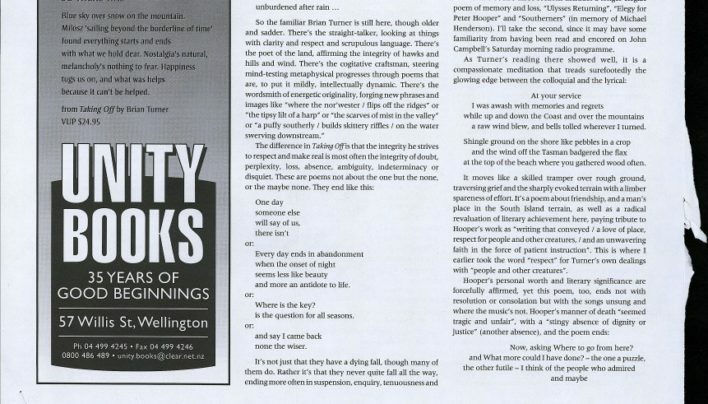 Our advertisement in the August 2002 issue of New Zealand Books features an extract from Brian Turner’s new book of poetry, Taking Off (Victoria University Press). 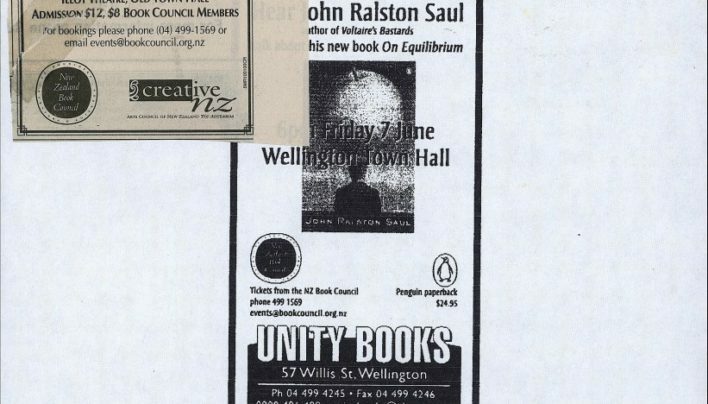 Advertisements from Capital Times and The Dominion & Evening Post announcing a Book Council Event featuring John Ralston Saul. 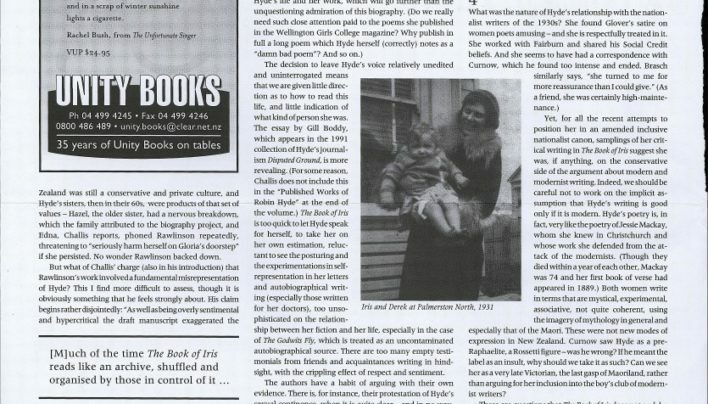 Our advertisement in the June 2002 issue of New Zealand Books features an extract from Kate Camp’s new book of poetry, Realia (Victoria University Press). 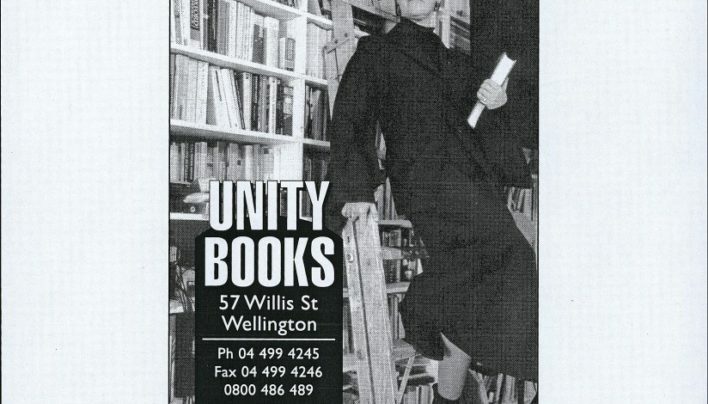 This advertisement for Sport magazine features author Chris Price demonstrating a potentially perilous ladder procedure. 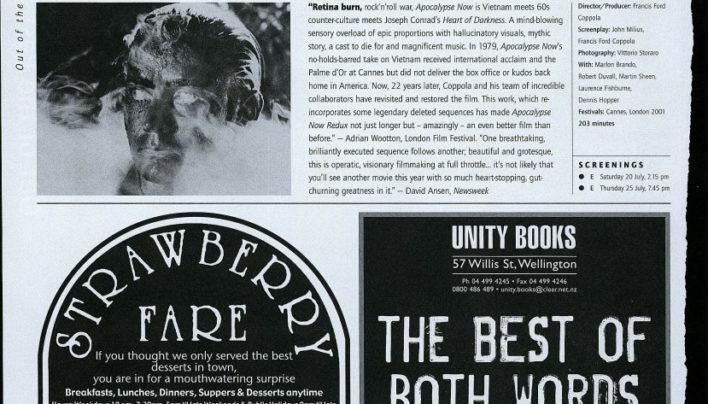 Our advertisement in the Outtakes Film Festival programme. 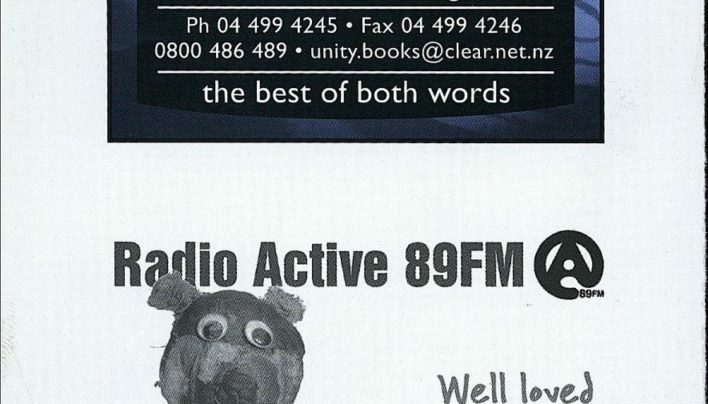 Our advertisement in the New Zealand International Film Festival programme.